Windows Slate 7, a Windows Phone 7 Tablet or a Portable Gizmo With Windows 8? 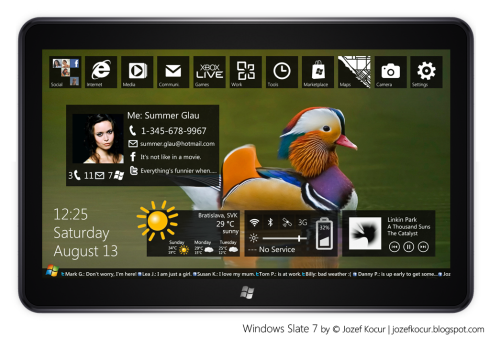 Jozef Kocúr designed a very appealing tablet called the Windows Slate 7, a device doesn’t seem to bear any other branding than the one of Microsoft. This internally made slate could be running a modified version of Windows Phone 7, as shown here, since this is certainly not the Windows 7 desktop version we all know.